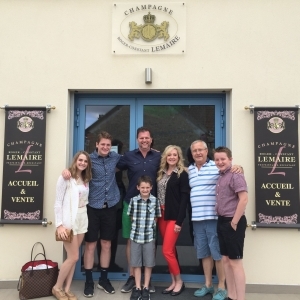 Immerse yourself in the heart of Champagne region for a full day tour in a fun, educative and enjoyable way. 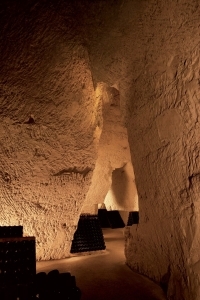 This is a great combination between Tasting and Learning where you will be able to visit Reims, the city of coronation where 33 kings got crowned. 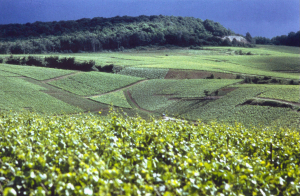 You will learn about the history of Champagne and the secrets of tasting. On the agenda today : taste History by the glass !!!!!! You will be collected at 8.00 am by our french sommelier who will drive you to the picturesque Marne Valley where you will enjoy a stop in the middle of the vineyards. Throughout you tour, your wine expert will give a guided commentary on the history of Champagne, the terroir, geography and grape varieties. Enjoy your first cellar door experience of the day with a private guided visit of a small producer. The tour concludes with tastings of 3 different glasses. Our trip continues with the most emblematic village in Champagne : Hautvillers where Dom Perignon invented the precious beverage at the end of the 17th century. Enjoy a private visit at the Church of the Benedectine Monastery owned by Moet & Chandon and discover where Dom Perignon is buried. Following this, you will have a gastronomic lunch in a traditional restaurant in Reims. In accordance with your wishes, we will make a booking at the best place. Our guide knows all the authentic and local restaurants far from the tourist crowds. Time for digestion! Following your lunch, you will visit one of the most prestigious House of Champagne in the world : Taittinger or similar (we can make arrangements to view other houses following your wishes such as; Ruinart, Veuve Cliquot, Pommery…) and you will discover the opposite of what you saw in the morning: Luxury and Prestige ! 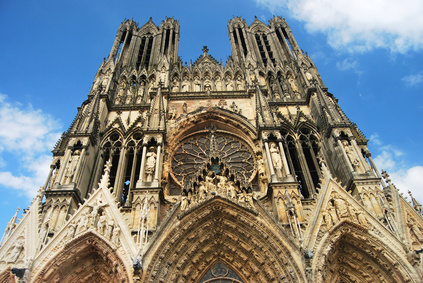 Enjoy a final tasting in before heading to the cathedral of Reims, a gothic masterpiece on the UNESCO world heritage list. The cathedral of Reims, damaged by the Germans during the first world war but restored since, was built from 1211 onwards and is certainly one of the most famous cathedral of France for many reasons : The baptism of Clovis (the 1st Christian king) by St Remi in 1498, the coronation to the Kings of France from the 11th century and specially Charles VII in 1429 with Jeane of Arc, the reconciliation between France and Germany in 1962 and the contemporine Marc Chagall Stained Glass Window created in 1974. After a last photo stop, you will be back to Paris in the late afternoon, where you will be dropped off at your hotel around 6.00pm.